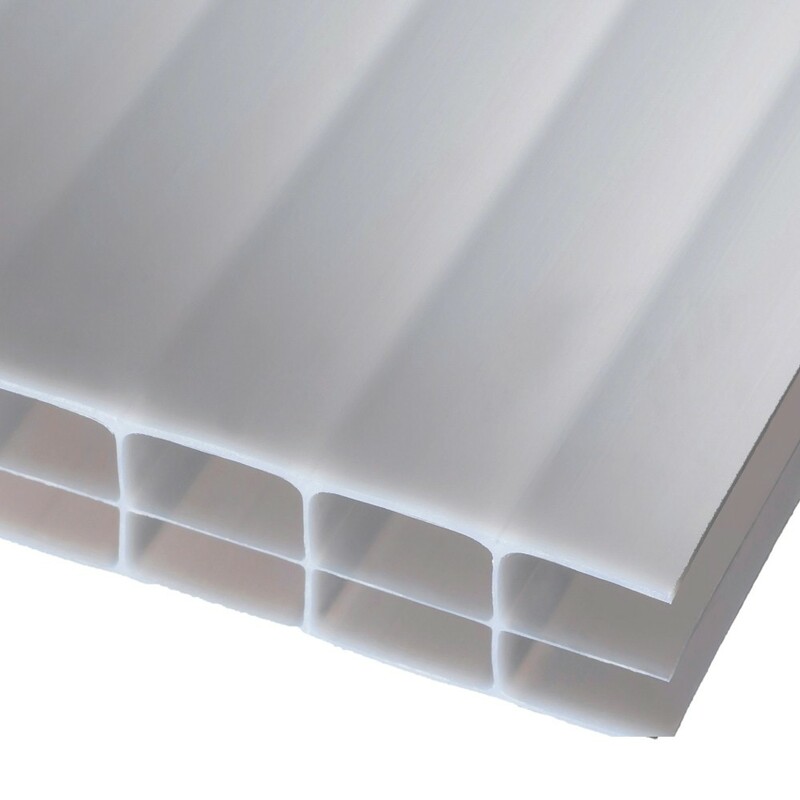 Description: 16 mm Polycarbonate Sheet. Triple Wall Opal. Use: Polycarbonate insulating roofing sheets for installations where the maximum light transmission is required. Applications: conservatories, rooflight features, car ports, extensions, swimming pool covers, porches, glazing. As these products are cut to your individual requirements they are bespoke and non-returnable. Please double check your sizes. Both the sheet(s) ends will be pre-taped with aluminium and anti-dust tapes. There is a tolerance of +/- 3mm when cutting.